24 hours prior to City Hall opening its doors for the celebrations of International Women’s Day 2018, Bristol was carpeted in snow with hardly a car on the road, and people everywhere staying home from work or school as organisation and infrastructure shut down for the day. 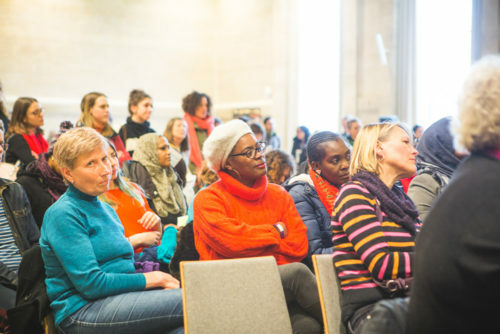 But in spite of a few participants unable to make the event due to difficulties with the weather, the vast majority of stalls, workshops, talks and performances went ahead as planned without a hitch, and seemingly without flapping the Bristol Women’s Voice organisational team. Go Team! way, infused with the clear message that these things are being tackled and that people do care. Sometime this message alone can be very powerful. It was a day of sharing stories and showcasing talents. This was a day for women to be seen and heard singing, dancing, performing, and playing music, as well as sharing their experiences both as part of the workshops and discussion groups, and in innumerable informal and spontaneous conversations throughout the day. 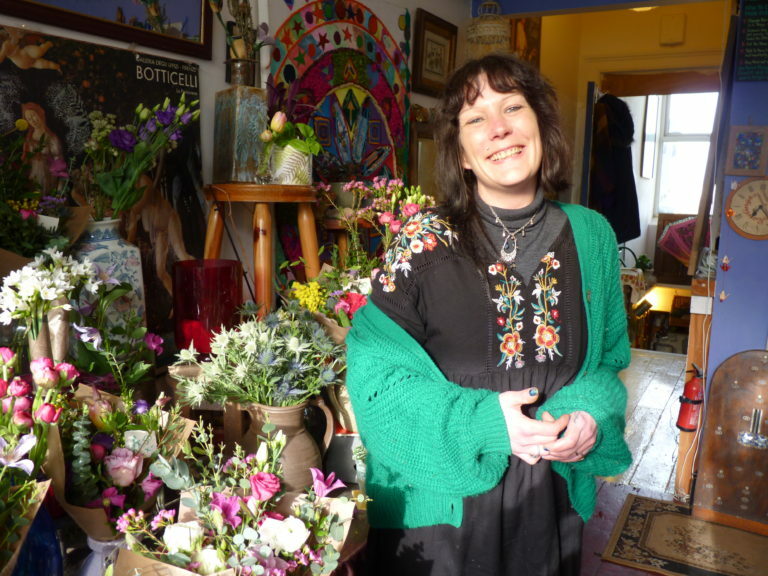 The stalls selling all manner of things including books, jewelry, posters, and wares produced by the diverse communities that make up Bristol, showcased the best of local women’s entrepreneurial flair and creativity. It was a day of doing. There was a huge range of activities from cyanotype photography to creative writing, self defense to Charleston lessons to delight everyone from the very young to the more senior members of our city. It was heartening to see members of all communities attending and taking part, and even plenty of men and boys joining in with the celebrations, and supporting the girls and women of Bristol. And no one could fail to be delighted by the balloon statues of Suffragettes festooning the hallways and doorways. It was also a day of recognising and encouraging the excellent work that women do in our city and in the wider world. We had panel discussions covering issues that women face in the media and in public life, offering learned perspectives and lived experiences and outlining the challenges unique to women in these spheres. But there were also words of encouragement and inspiration for anyone considering taking on these essential roles. There were stalls run by local activist organisations and charities who help with specific issues faced by women and girls. And let’s not forget, the event held its own rewards ceremony for Wonderful Women of Bristol who have done and continue to do incredibly valuable work for their communities. The general spirit of the event was one of community, cooperation, inter-connectivity and strength. People described the event in glowing terms – ‘amazing’, ‘fantastic’, ’a great range of people of all ages’ and ‘great creative energy’ among the many, positive comments offered. It embodied a ‘heart-based’ and holistic approach to the manifold challenges that come with being female, as well as a recognition of how our current systems and cultures can inhibit the life experiences of everyone, regardless of gender. It showed just how ingenious and resourceful women and girls can be in a world where we are still yet to see women’s contributions valued in any meaningful sense. It was a very feminine day but essentially very human. At the end of the event, there were a great many beaming faces heading out onto the rapidly thawing streets of Bristol. Perhaps the positive energy and warmth of the celebrations helped just that little bit?